Stunning Dress by Bonnie Jean! Perfect for any speacial Occasion! 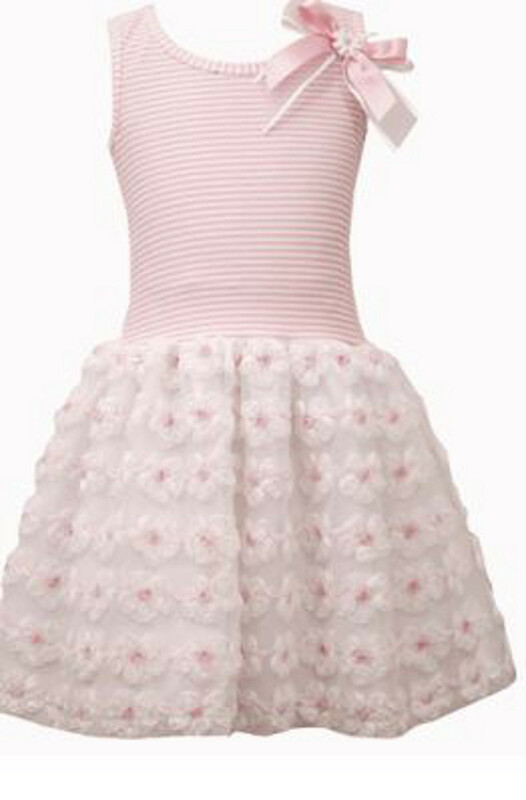 Dress feature a pink flower skirt, sleevless and a stripe bodice!